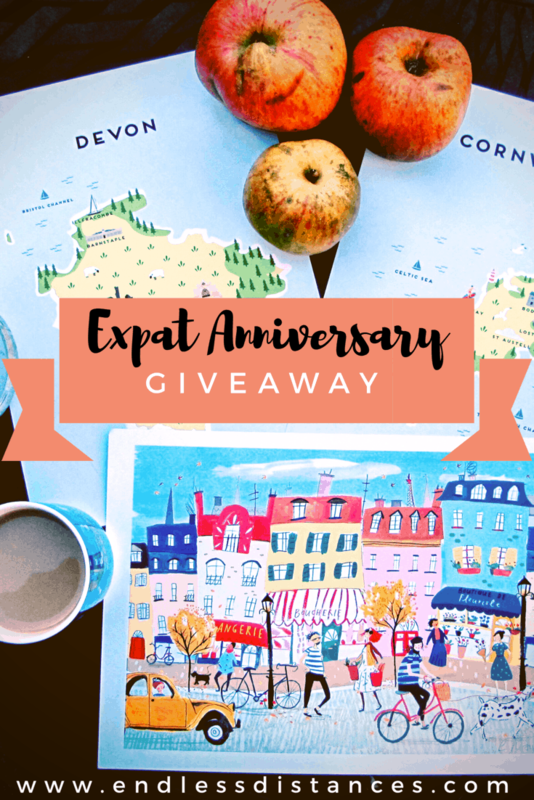 GIVEAWAY: My Two Year Expat Anniversary! 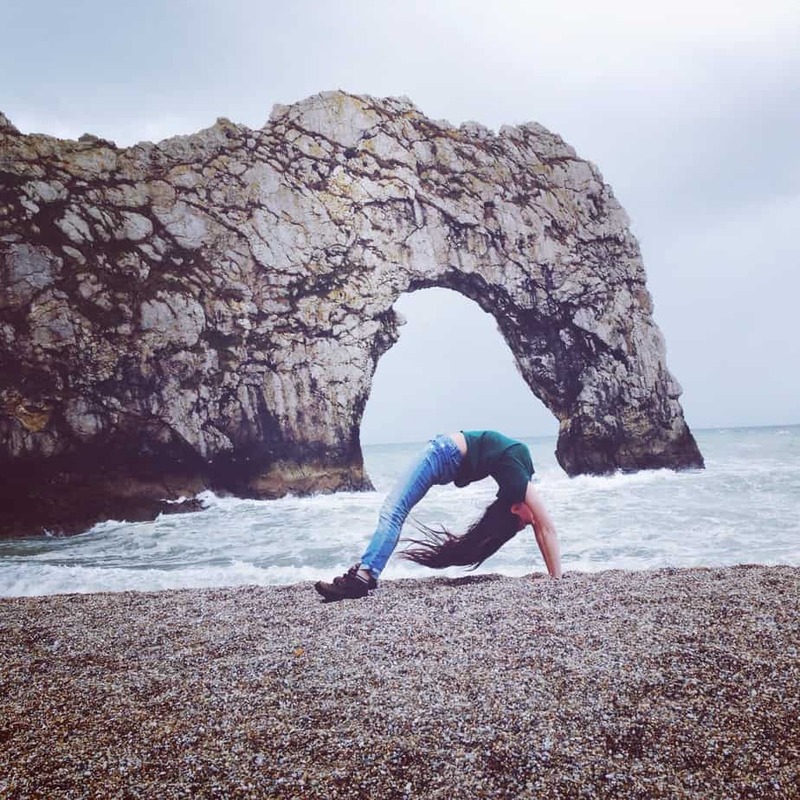 Autumn has well and truly rolled around, and I’ve found myself in Dorset, recuperating from three straight months of travel, volunteering, and a rather nasty cold. I’ve been spending my days catching up on work on my computer and planning upcoming travels (! ), sitting at the wooden kitchen table by the tall glass French doors. Outside, cooking apples and a rather large zucchini (or, “courgette,” I remind myself as English-English and American-English mix together in my brain) lie on the porch. 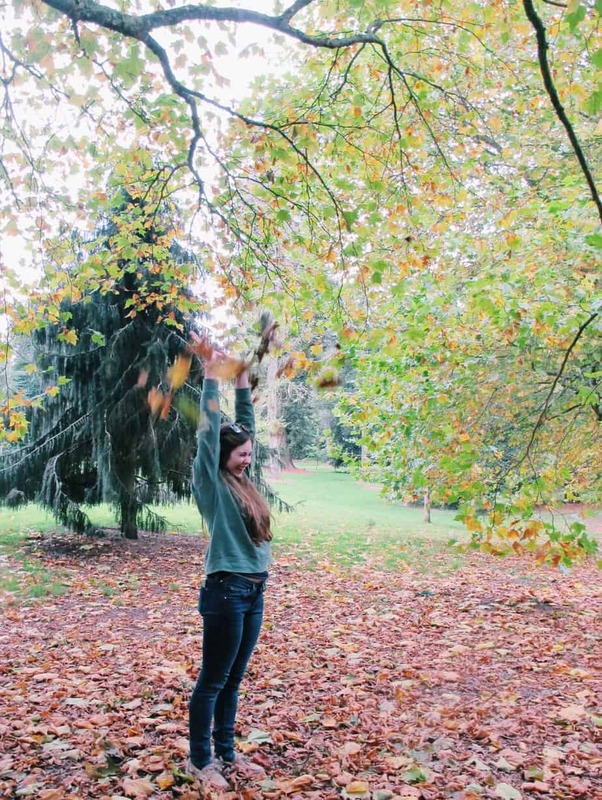 The leaves are yellowed and drift off with each gust of wind. Autumn (or… “fall”… this is another funny word that my English brain and American brain argue over) always reminds me of change. It also reminds me of new beginnings, and, of course, my two year expat anniversary. What a journey it has been! Three Septembers ago I arrived at Heathrow, suitcase and UK visa in tow. I was no longer an American study abroad student. I was an expat. Expat: that complicated word that people argue over endlessly, but basically means you don’t live in the country you were born in, but it’s not necessarily permanent. I’ve let this word grow to define me over the last two and a bit years of living in England. In fact, I think it’s the constant reminder of impermanence hanging over my head as my visa counts down its final days, which has driven me to pack so much exploration and adventure into my time here. Well, I’m going to cut the wistfulness short because I have something very exciting to share on this, my two year expat anniversary! 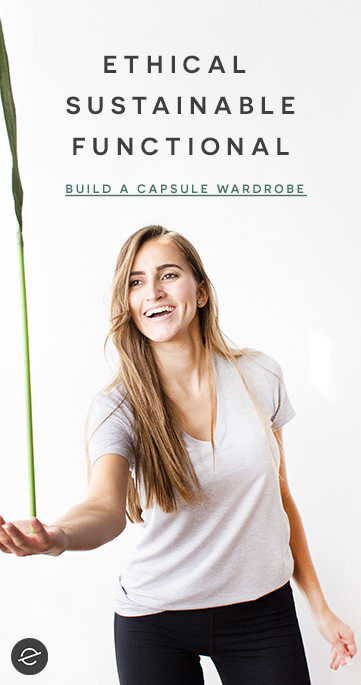 I’ve teamed up with some designers that I love and am doing a giveaway! You can read about the prints below, and scroll all the way to the bottom to enter the giveaway. The winner will be announced on Wednesday, November 8. Oh my gosh you guys, I am really excited to have Clair Rossiter on board with this giveaway. Clair is a lovely illustrator based in the UK. I have admired her work for years. Her pieces are wild and wonderful. I think I first found her designs back in 2013 when I lived in Exeter as a study abroad student and was scrolling through Pinterest. 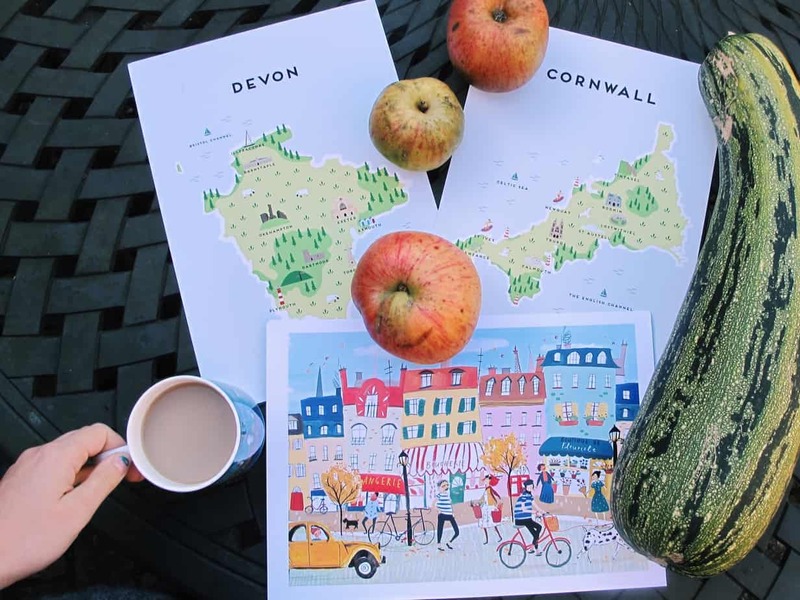 You will probably recognize her work – she actually designed the 2016 coloring book for Kew Gardens and illustrated the cookbook by a winner of the Great British Bake Off! As you all know, I’m living the nomadic life at the moment, but I can’t wait to have one of Clair’s prints up in my someday-home. 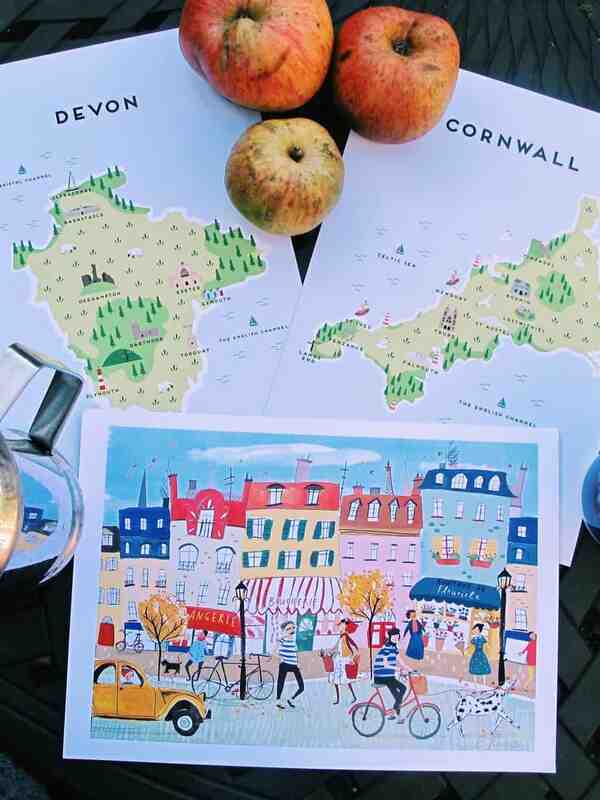 Anyway, Clair has generously offered one of her autumnal French street prints to a winner of this giveaway (lucky ducks!). I’m also thrilled to be collaborating with Pepper Pot Studios (based in Yorkshire!). 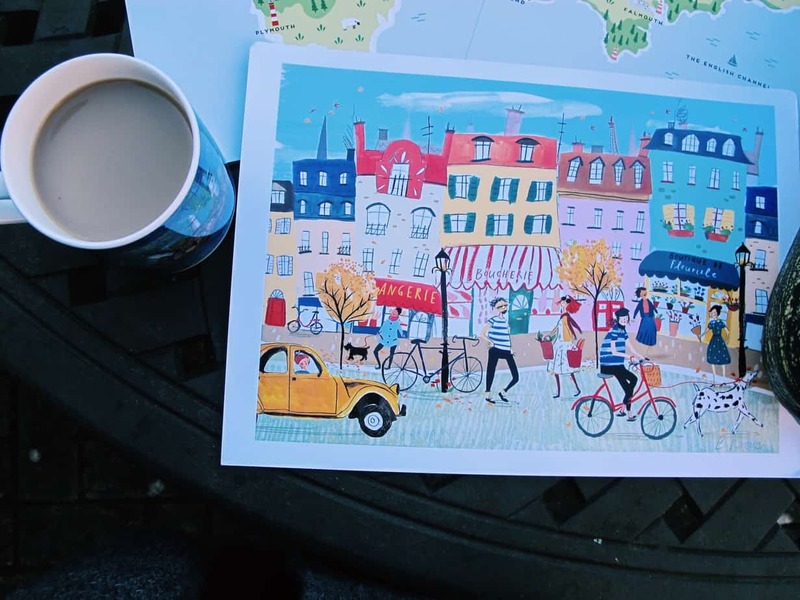 Their gorgeous maps have also inhabited my Pinterest boards over the past two years. The designs are the perfect mix of quaint and clean. 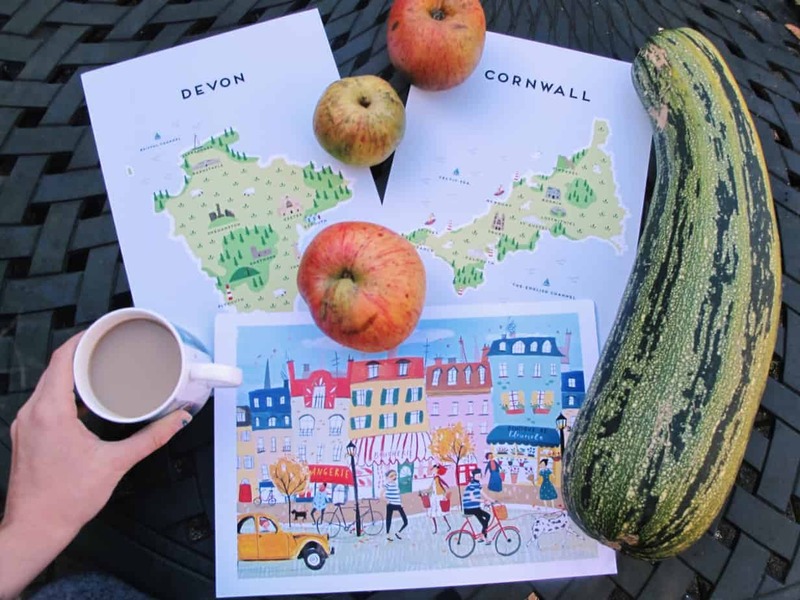 I love the Devon and Cornwall maps, especially, as I can point to each marked location and recall a happy memory. 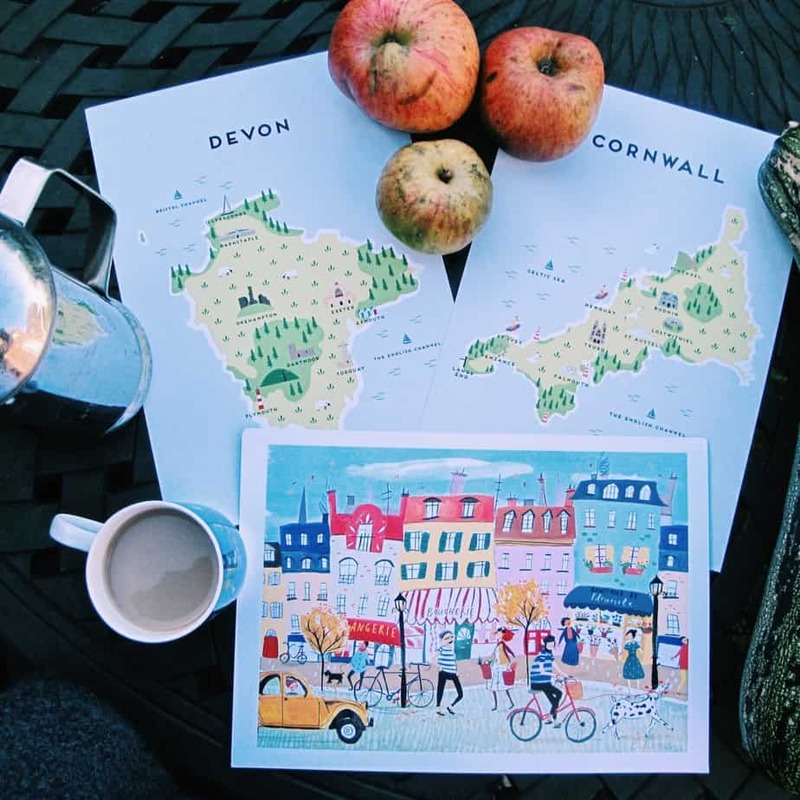 These maps are particularly meaningful for me as I have called Devon and Cornwall my UK home for the last two years, as Plymouth is situated riiiight in between the two. (Although I will always do my scones the Devon way). You can read more about my UK experiences here. 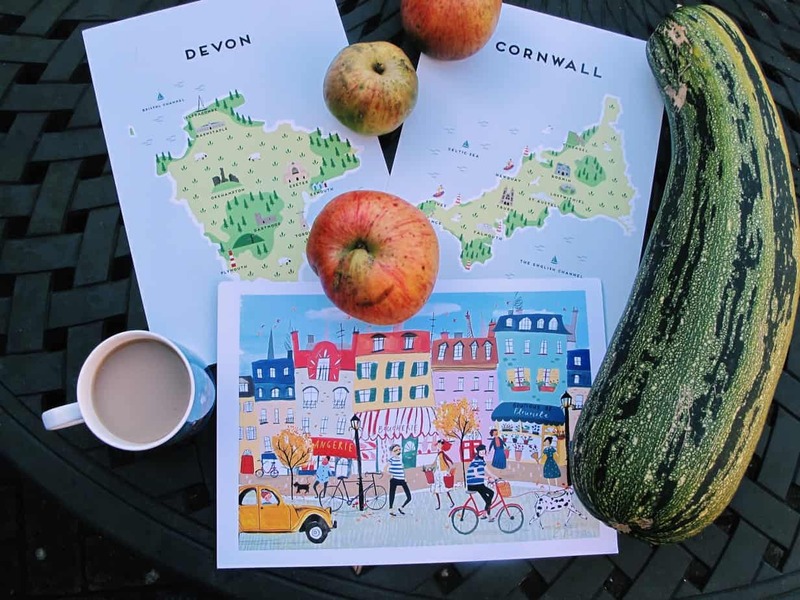 Pepper Pot Studios has generously sent me both a Devon and Cornwall map to send to a winner of this giveaway. **I am linking up with Emma, Polly, Angie and Eppie for the monthly travel linkup, this month on the theme: journeys! What a journey being an expat has been! If you have a post on the theme, you can enter it through the linkup on one of their blogs through the 7th November!